In this exhibition three artists referred to applied visual language from the past. One of them, Thomas Raat, is known for copying visuals from penguin paperback covers. 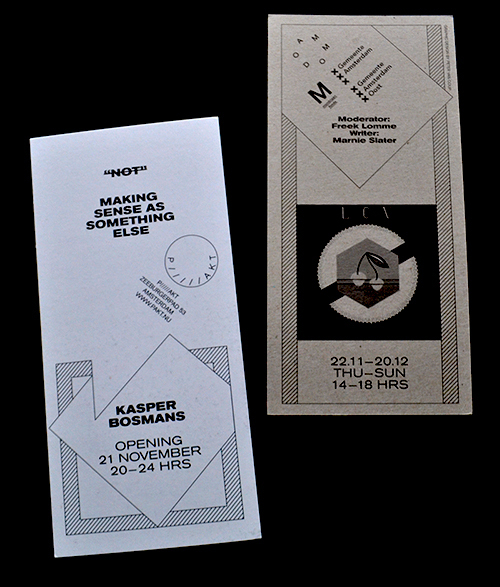 The design of this flyer is put on top of the previous flyer design for P/////AKT (on the left corner you can still see it) in order to emphasize the ongoing flow of shows at P/////AKT. 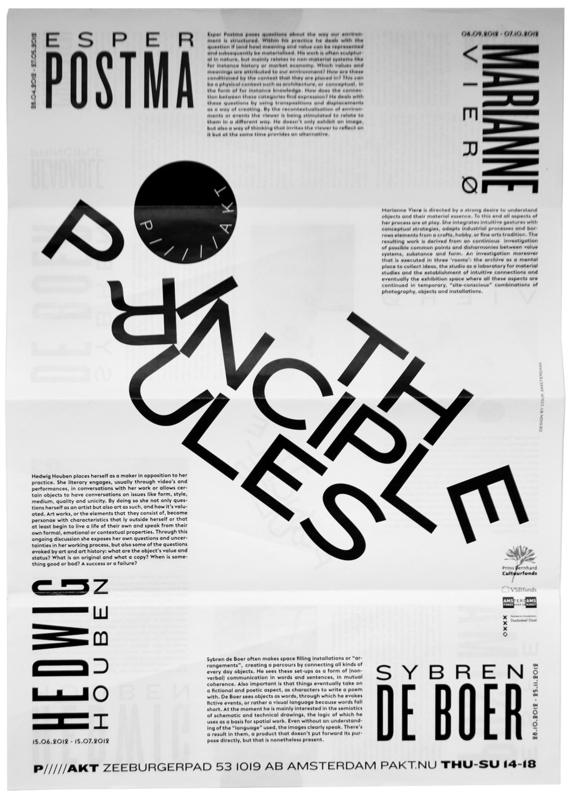 By shifting frames and adjusting the title every edition, different possiblities of presentation and interpretation are linked to the exhibitions. 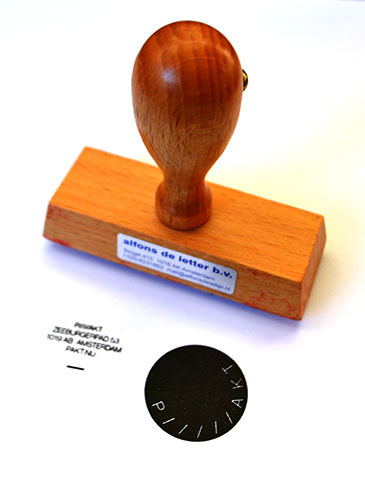 — > Identity for PAKT. 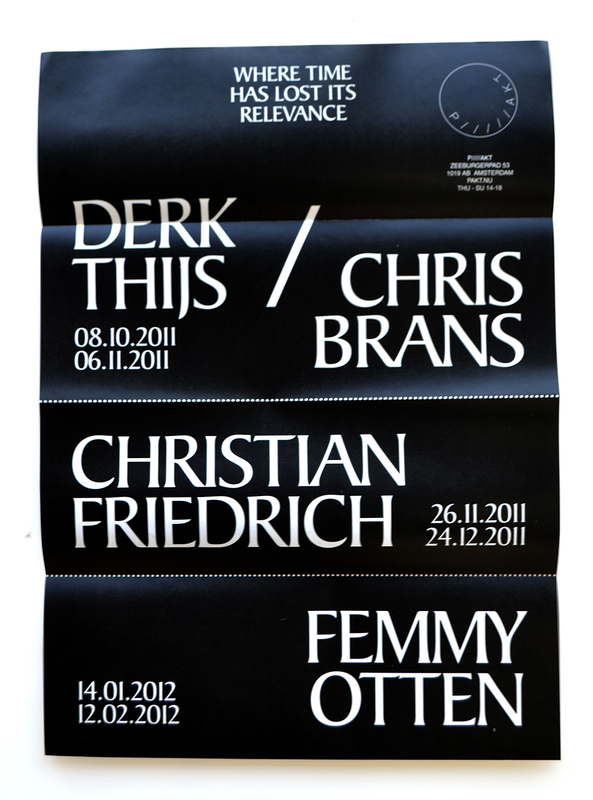 — > Poster and flyer for PAKT: Where Time Has Lost Its Relevance. When time loses relevance, spiritual characters gain it. 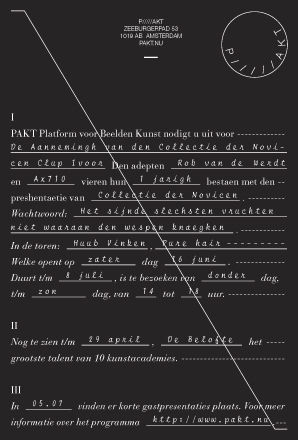 — > General Advertisement for PAKT.